Barça B played to a scoreless draw with Peralada on Sunday in Second Division B action at the Miniestadi. Excellent play on attack and a good performance from goalkeeper Lazar Carevic helped give Barça their first point at home this season. In the first half, Barça B dominated possession, but the game's first shot on goal didn't come until minute 18, when Peralada's Valery had a shot saved by Carevic. That chance came during Peralada's best stretch of the game, in which they were able to wrest possession away from Barça. In the 25th, Barça began to circulate the ball to both sides, but a good combination between Riqui Puig and Carles Aleñá was quashed by the Peralada defense. Barça's first shot on goal came in the 29th, but Aleñá's attempt was saved by Vito, a former blaugrana keeper. Two minutes later, Peralada's clearest chance of the match came, but Guillem Jaime helped out Carevic to keep ex-Barça player Paik's shot out of the net. 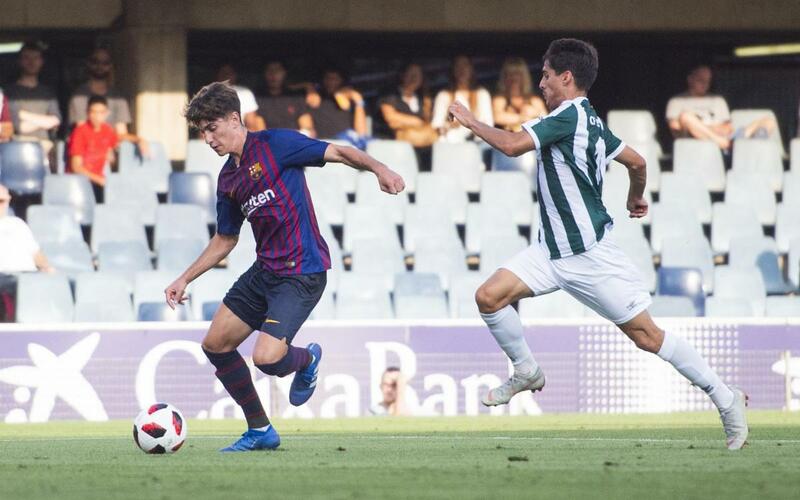 Ballou replaced Aleñá in the second half and brought more danger to the right side, and in the final minutes Barça B kept up the pressure to no avail. Carevic made multiple big saves late to preserve the draw for Barça.